It's been awhile since I last posted an outfit post. I think my last one was back in March? That seems sooooo long ago! 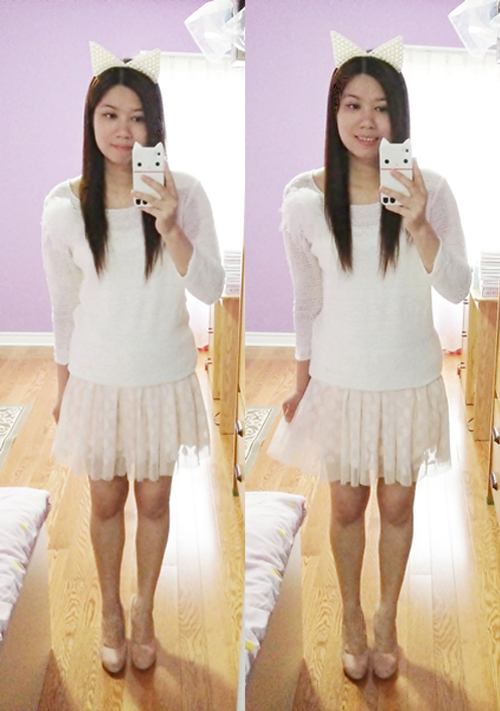 I'm back with my first spring outfit post for the year where I'm wearing this "sakura theme" with a white sweater and pink polkadots tulle skirt that I got from Forever21. The pink and white colour combination reminded me of sakuras/cherry blossoms. 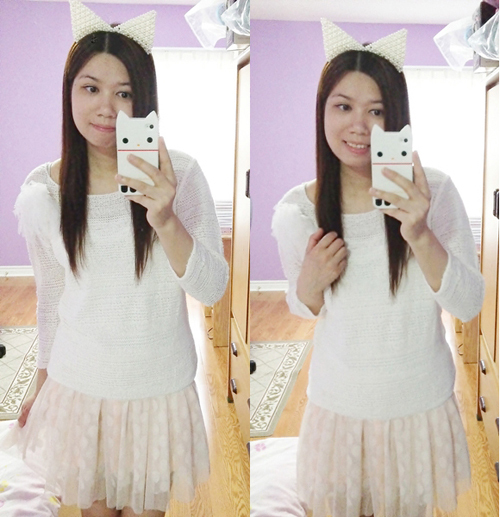 I also wore the pearl cat ear headband that I got from eBay that matches with my cat iPhone case. I recently dyed my hair back to dark brown for my new job to fit in the "professional look" but I'm having a hard time getting adjusted to it. I miss my light coloured hair so much! I just feel like as if I'm a complete different person with darker hair...feeling so not like myself. Can't wait until I can dye my hair back to a lighter colour again.